Linked lists, stacks, queues, recursion, trees, sorting, searching, introduction to graphs, space and time consideration. (Offered to non-CENG students only). Wednesdays - 9:40 to 12:30 in IE-105. and learn and use basic data structures such as stacks, queues, and trees. 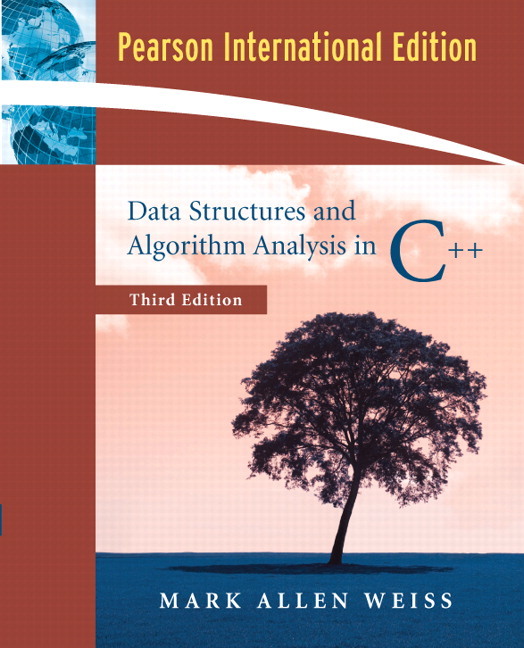 Mark Allen Weiss, Data Structures and Algorithm Analysis in C++ (3rd ed. ), Addison Wesley, 2006. If you have a medical excuse you may take make-up exams for the midterm and final exams. Late submission of assignment will be allowed with 20 points penalty per day. Submissions will be made via ODTU-Class. All homework must be to be your own work. No group projects are allowed. Violators of this policy will be subject to disciplinary action. At least 50% class attendance and taking the midterm exam is required to enter the final exam.